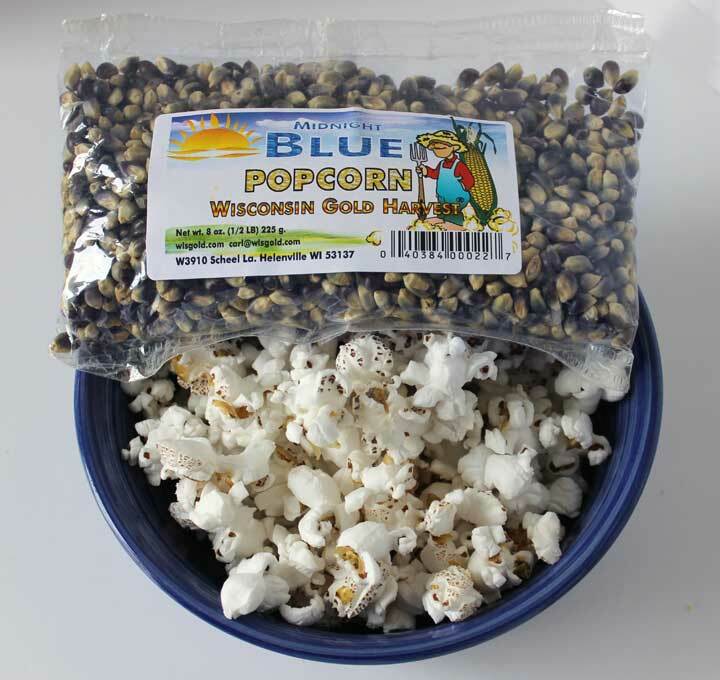 Here's the Midnight Blue popcorn after it has been dried to the proper moisture which is about 13.5 percent, tumbled to knock off the bees wings, cleaned and packaged. How does the popcorn get out of the big bin and into the bag you see? The first step is to get it out of the drying bin into the stationary sheller. That takes the kernels off the cob. Dara is watching Christopher pull the cobs loose to get them moving into the stainess steel trough auger. This auger takes the cobs up into the stationary sheller. 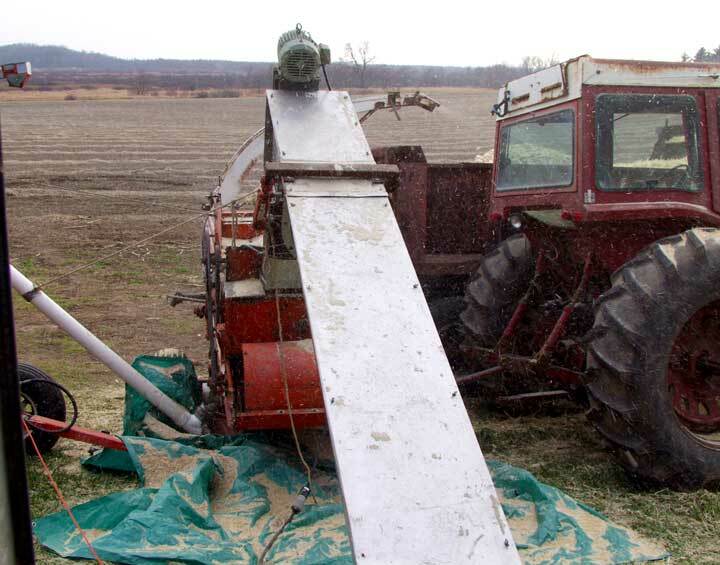 Here is a picture of the trough auger, note that it's all covered so nothing goes on the popcorn as it's moving. 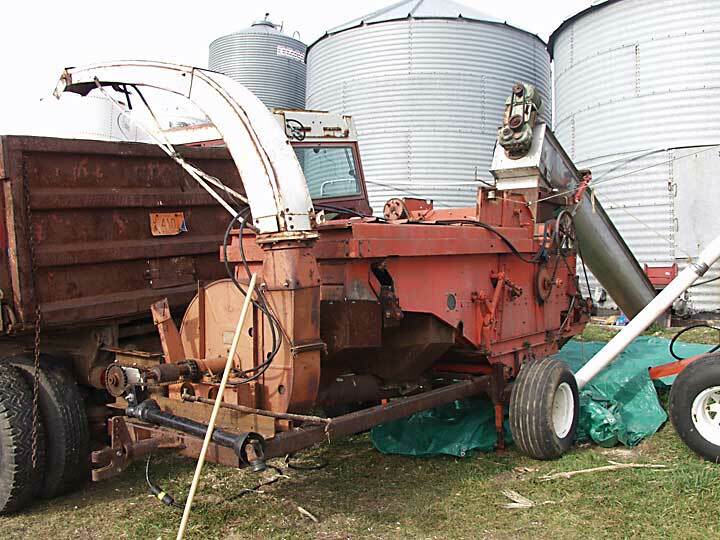 The sheller is behind the auger and is powered by the large diesel tractor. 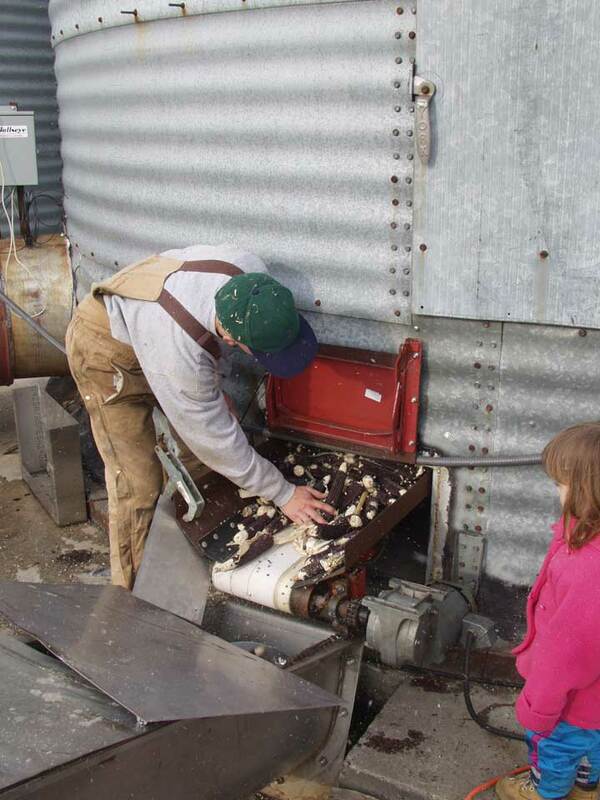 Here is a view from behind, You can't see it because of the angle, but the corn is dropping off the trough augher into the sheller, The white curved arm on the sheller is the discharge blower, throwing the shelled cobs and husks into the truck. 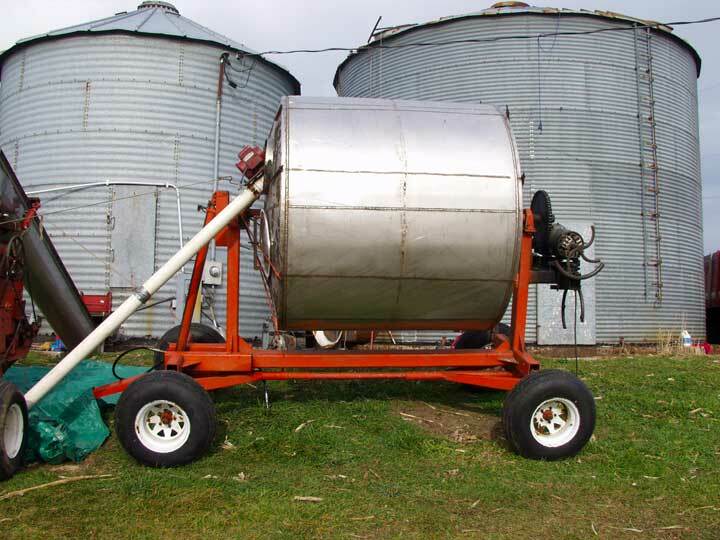 The white pipe on the lower right contains a discharge auger which transports the shelled popcorn into a receptacle, in this case it's the tumbler. Note: The tumbler is in it's neutral filling position. When we are done the drying bin is empty. Note the tapered floor. 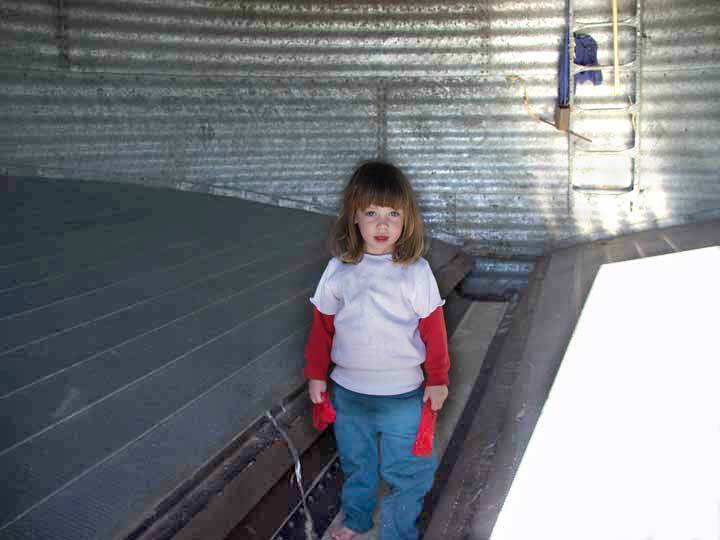 Dara is standing on a belt conveyor, normally covered with removable partitions above the belt. Here the floor partitions have been removed for cleaning before refilling. 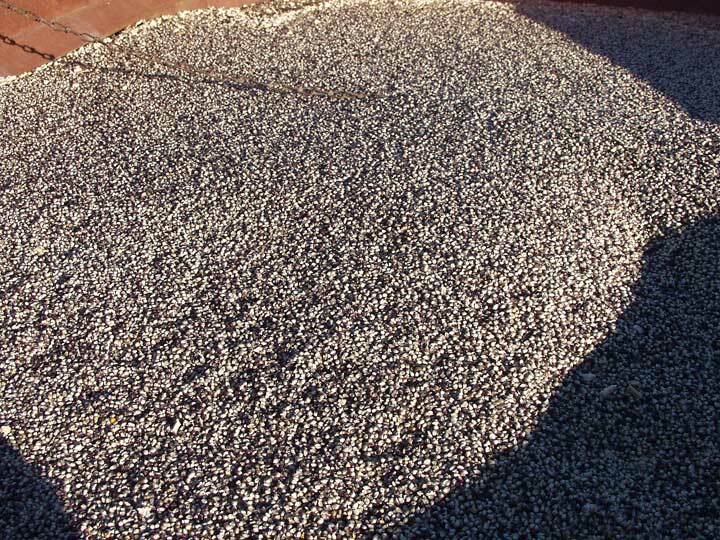 After the tumbler is full, we have to put the rest into wagons, and then transfer the popcorn to holdinag bins. The popcorn is at the proper moisture at this point and won't spoil when we put it into the holding bins. 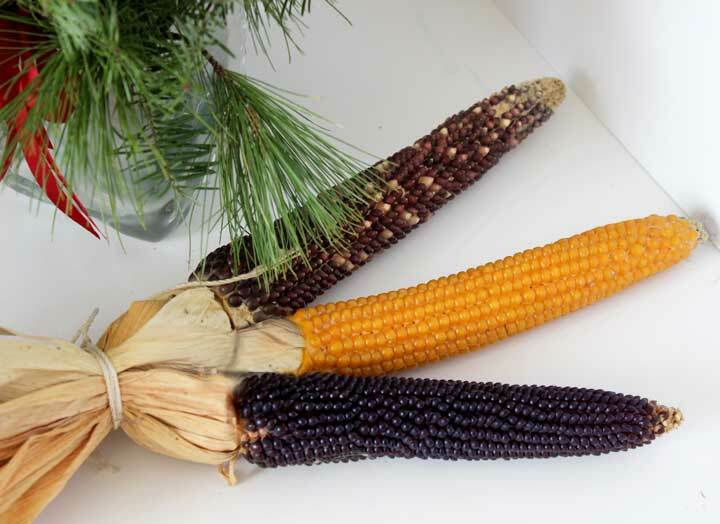 Below I have 3 husked cobs, the top cob is Ruby Red, you can see that it has a few white kernels, that's how it grows., the middle is yellow butterfly, the bottom is Midnight blue. 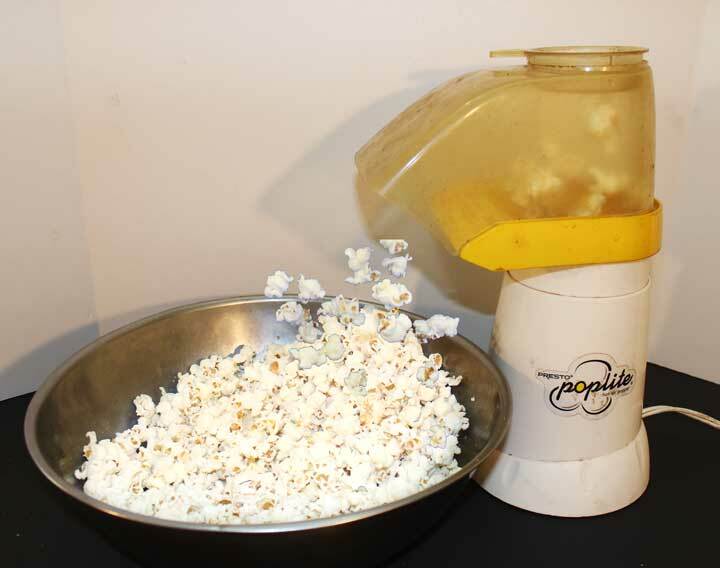 We use an air popper to pop our popcorn. It pops with heat and air, there is no need for oil. We get only the taste of the popcorn that way. 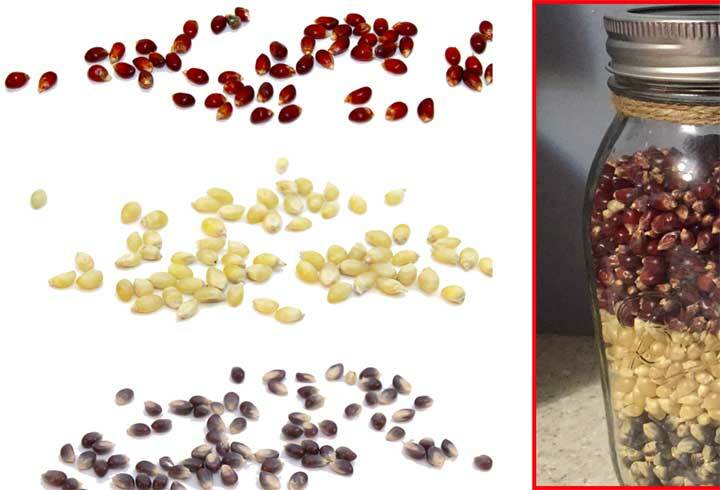 After we have tasted the kernels, then we add either melted butter or extra virgin olive oil. 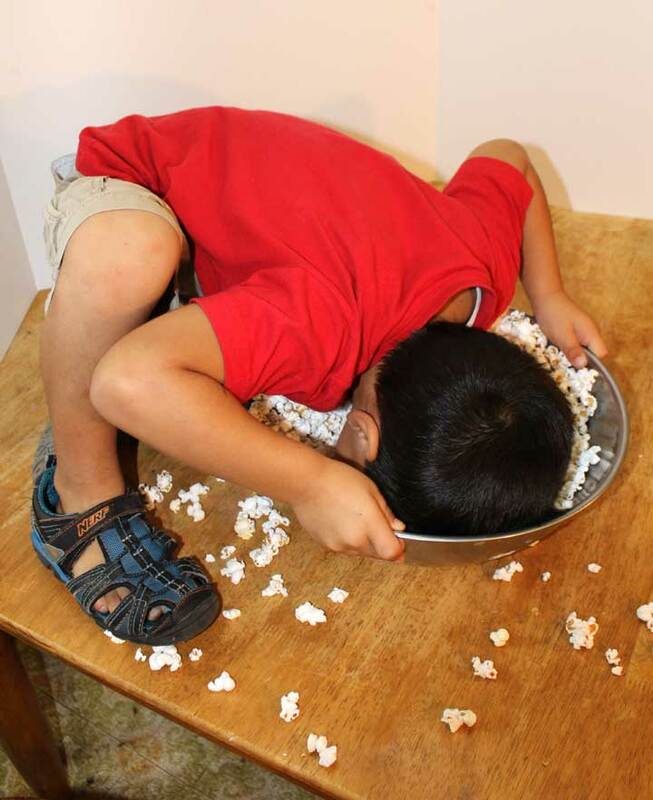 Whatever you do, don't eat popcorn this way! 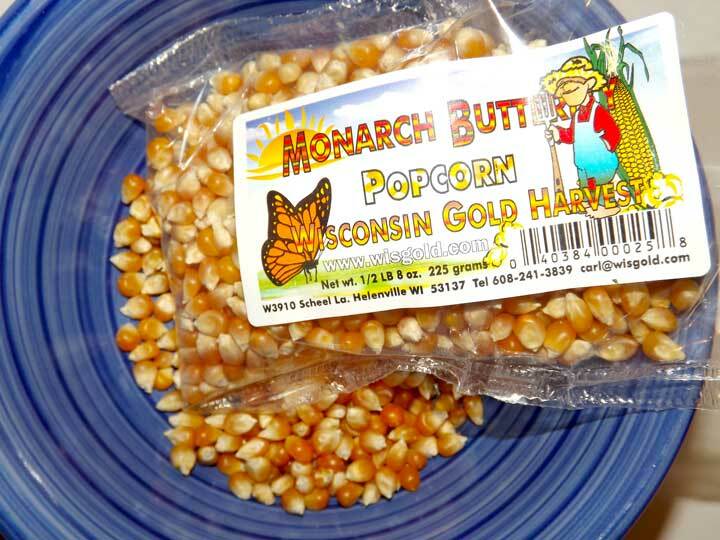 Here's a bowl of our Monarch Butterfly popcorn, this is a large yellow butterfly popcorn. The oxygen barrier bag keeps the popcorn inside from losing moisture. 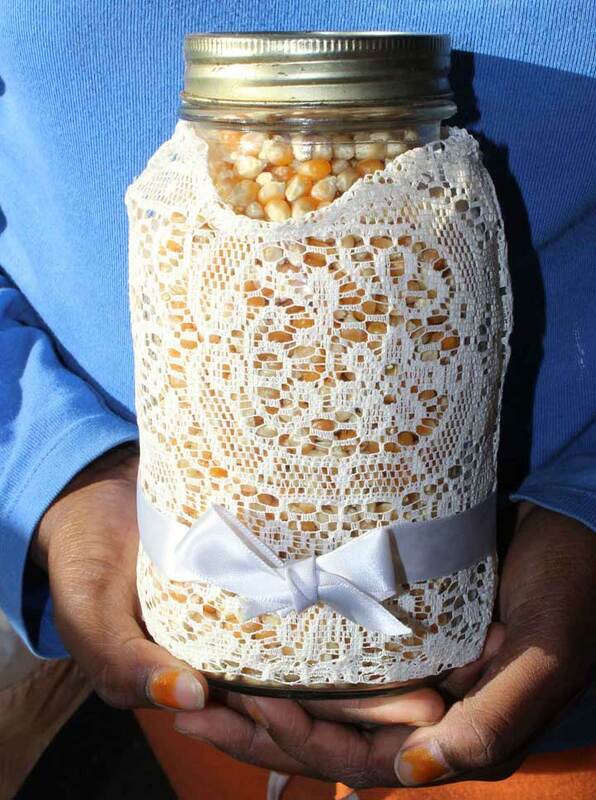 Here we show Ruby Red, Pearly White and Midnight Blue popcorn, it is sold in mason jars. 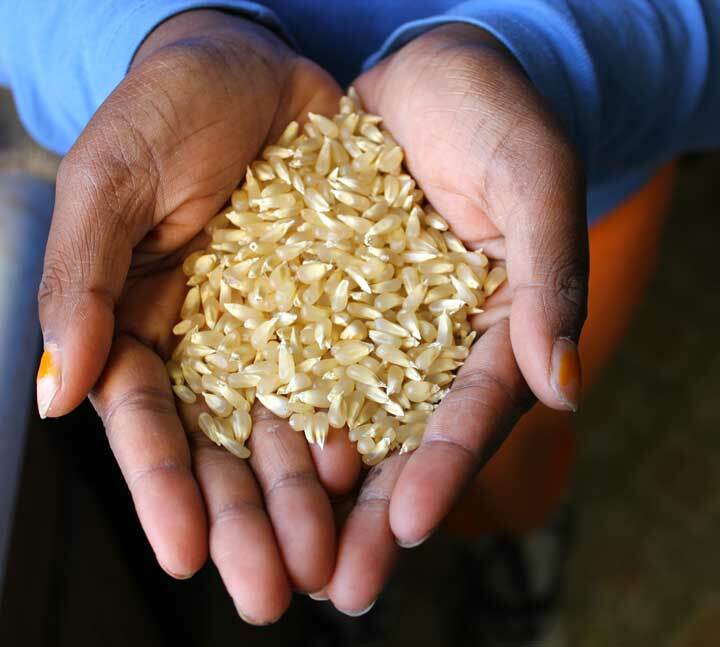 Our mixed baby rice sample here is mainly the white kernels, notice how pointy the kernels are, it almost looks like rice. Monarch Butterfly in a pretty jar.